Cumbrian Lakes, a beautiful private gated community, provides forest walks, pristine nature reserves, scenic biking and jogging trails and a children’s playground. Upon passing through the gates, you will experience a true sense of peace and harmony with nature. Pleasing streetscapes are lined with ancient oak tree preserves, providing shade as well as a taste of Florida's natural beauty. Sparkling lakes provide a hospitable habitat for cranes, ospreys, and blue heron. Cumbrian Lakes is a peaceful place to come home to, yet is so close to all the excitement that makes Central Florida the Number One Tourist Destination in the World! 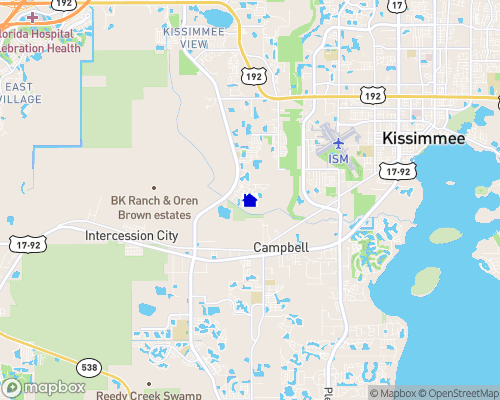 Nearby cities: Kissimmee 2 min. Nearest airport: airport: MCO - 20 min.